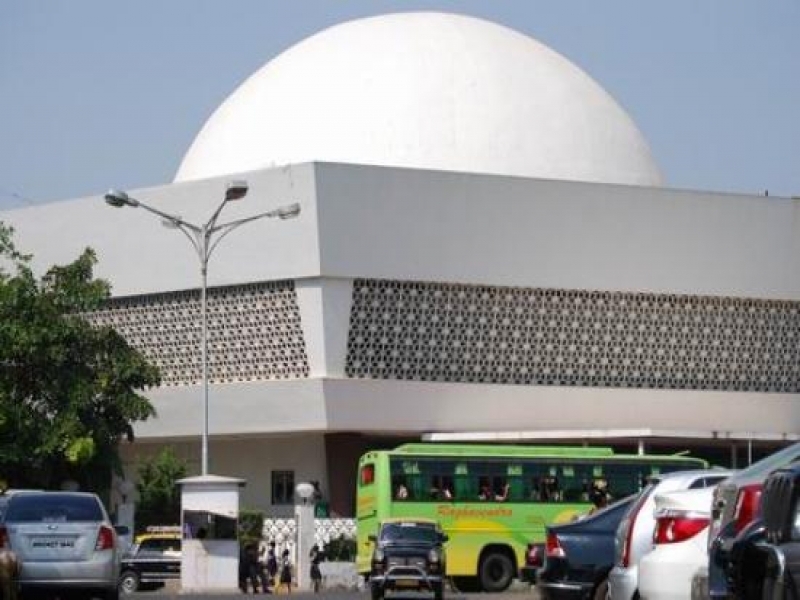 The Nehru Planetarium in New Delhi is situated in the Teen Murti House, the official residence of India's first Prime Minister, Jawaharlal Nehru, and now a museum in his memory. It was inaugurated by Mrs Indira Gandhi in 1984. The planetarium has a dome shaped sky screen and a seating capacity of 270. The planetarium’s lobby exhibits photographs, diagrams and miniature modules of things related to space and space travel. Descriptions of astronomical studies by scholars such as Aristotle and Copernicus are also displayed in this area. Soyuz T-10, which carried the first Indian, Rakesh Sharma, into space, is also housed here. But the main attraction of the planetarium is the space room, which holds shows on the solar system and space travel. The 45-minute presentations tell wondrous stories of space and the stars. The films are shown in English and Hindi languages alternately. The planetarium remains closed on Mondays. Been to Nehru Planetarium ? Share your experiences!